padfoot's library: Blog Tour: A Curve in the Road by Julianne Maclean - Review & Tour-Wide Giveaway! 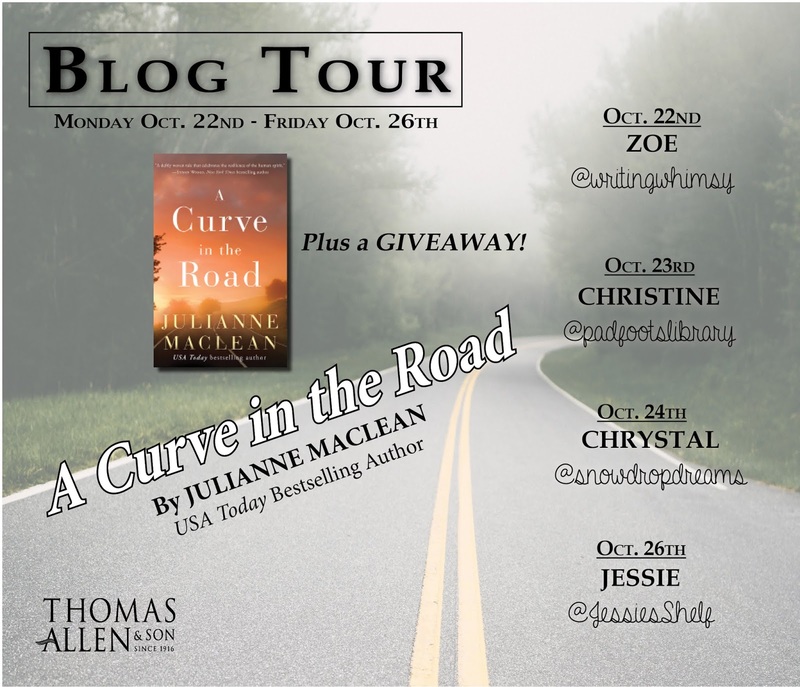 Blog Tour: A Curve in the Road by Julianne Maclean - Review & Tour-Wide Giveaway! The Premise from the Publisher: "Abbie MacIntyre is living the dream in the picturesque Nova Scotia town she calls home. She is a successful surgeon, is married to a handsome cardiologist, and has a model teenage son who is only months away from going off to college. But then one fateful night, everything changes. When a drunk driver hits her car, Abbie is rushed to the hospital. She survives, but the accident forces unimaginable secrets out into the open and plagues Abbie with nightmares so vivid that she starts to question her grip on reality. Her perfect life begins to crack, and those cracks threaten to shatter her world completely. 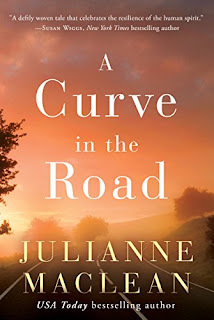 The search for answers will test her strength in every way—as a wife, a career woman, and a mother—but it may also open the door for Abbie to move forward, beyond anger and heartbreak, to find out what she is truly made of. In learning to heal and trust again, she may just find new hope in the spaces left behind" (Lake Union). My overall thoughts and review: I wasn't sure what to expect going into this book because I thought that it would go in a completely different direction in terms of what happens to Abbie in the car crash and the aftermath. I went in thinking that the accident was the worst of it, but in a way, it's a catalyst for so much more to unfold? I was only a few chapters in reading this book when I already started tearing up. Warning: there's a dog in the book and the dog does live (so that's good news), but the moments when he's rocky really breaks your heart. The way Maclean describes the car crash and that sinking feeling afterwards of not knowing where your family is felt so vivid and surreal, I honestly felt like I was in Abbie's shoes. Abbie's perfect world begins to shatter all the while she has to handle her grief. It's such a complex situation that Abbie is in because she's filled with not only grief but also anger. This book brings about many questions in terms of how well do you really know a person? and the realm of 'What Ifs.' 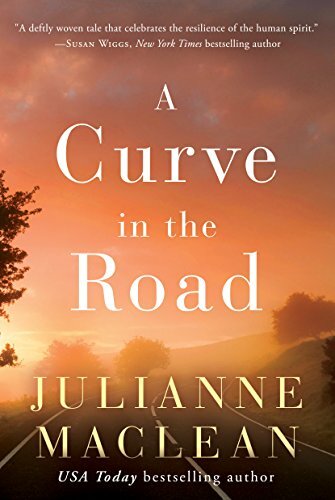 This is my first time reading something by Julianne Maclean and I will say the book moves incredibly quickly in terms of pacing. The writing is highly readable and you'll find yourself flipping the pages quite quickly. I liked that it kept me on the edge of my seat in terms of what was to come next, and I appreciated how raw the feelings of everything were. If you ever lost a loved one, this book would definitely punch you in the heart. I enjoyed the book but I will say I felt that the end was quite rushed in the last thirty or forty pages with it moving in months. I would've liked those chapters to be teased out more. Overall, this was definitely a heart-wrenching read about family, marriage, grief, and how to move on after a tragic event. I think fans of Jojo Moyes would definitely enjoy this read! Disclaimer: I received an advanced readers copy of this book from Thomas Allen & Son in exchange for an honest review and participation in this blog tour. All opinions are my own.